Here’s a link worth following: www.pilotworkshops.com. PilotWorkshops runs an online proficiency center to provide professional training to general aviation pilots. With my membership to AOPA I get free access to their Pilot Proficiency Portal, but there are a number of free resources on the site as well, and many more for those who register. I look forward to using the site as I continue my real-world training, and many of the resources there would be a real value to any simmer interesting in making it “as real as it gets” with their own simulated pilotage. 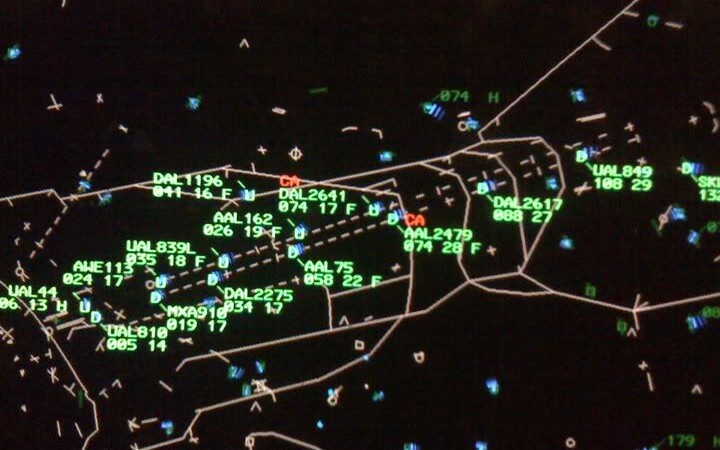 There’s a nice blog post here from a pilot who recently toured SoCal TRACON (the Terminal Radar Approach CONtrol for the Sothern California region, the nation’s busiest and also the airspace you fly on PilotEdge). It’s very interesting, especially for VFR pilots (which was his focus in writing the piece). One insight for me was the controllers suggesting that VFR pilots avoid Bravo and Charlie airspace by two miles laterally and 1,000 feet vertically, given that the TRACON radar is not nearly as accurate as your GPS and that they could easily see you as inside the airspace when you’re not. I know that on PE I will often cut it closer than that, so I found this helpful. The piece also echoes much of the coaching I’ve heard PE controllers offer pilots on the network. I’d suggest this as very worth reading for student pilots and simmers new to PE. One of my new subscribers on YouTube is HK Spotter. Looking at his channel, the first thing that got my attention was this great video from inside the Hong Kong control tower, both up top with the view, and in radar room for approach, departure, etc. If you’ve wondered what things look like from and inside the tower, this video is a great example. Here’s another link worth following: Roger Dodger Aviation. I found RDA via his YouTube channel as I was looking at ways to improve the Saitek Cessna yokes in the basement sim. His channel is great, with a lot of helpful how-to videos specific to cockpit construction. He also has a website, DIY Flight Sims, which serves as a front door to his home cockpit design business. There’s a lot there, and anyone who is doing this much to support the hobby deserves a nod. One of my favorite YouTubers is Josh of Mr. Aviation. His vids are great, and his enthusiasm for aviation infectious. His latest video is an ILS approach start to finish. Given this site is “On Thr Glideslope” I figured posting it was beyond apropos. Helicopter simmers should check out Tom Tsui’s latest set of Saitek FIP gauges, these for the R22 Robinson. Beautiful work as always by Tom. Two links that I’ve recently come across that are worth following. The first is C-Aviation, a cool simulation / aviation blog published by Wojciech Przybylski, who is Polish and publishing the blog in English as a second language from Europe. He’s an FSX flier, but the blog has plenty of content that should appeal to any simmer (like this roundup of news on the soon-to-be-released DTG Flight School). It’s also one of the few current aviation sim blogs I’ve found. The second link that’s worth a click is America by Air, a series of reader-submitted airborne photographs by readers of the Atlantic Monthly (one of my favorite magazines, BTW). Any aviation buff will find the series hugely enjoyable. Two links today worth following. The first is the latest video from MrAviation101. I’ve watched a lot of this kid’s videos, and they just get better and better. This one is a Mooney approach with his girlfriend into Tulsa, and all the ATC calls are audible. Cool. The second is from Tom Tsui at FSX Times, who has a new set of Saitek FIP gauges up, these for the Carenado C153 II. Beautiful work as always.